The three stars that make up the sword of Orion are surrounded by beautiful nebulosity that can also be seen in small telescopes. 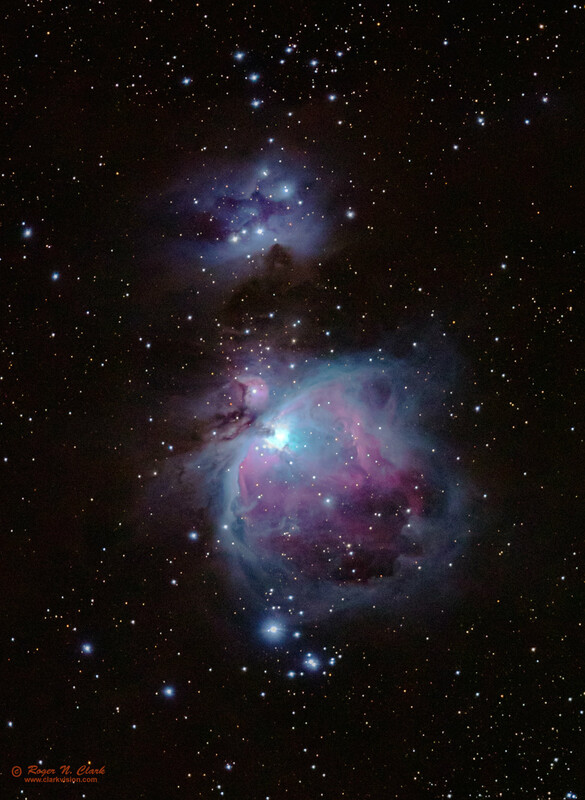 In the center is Messier 42 and M43. Large amateur telescopes will also show the nebula's blue and pink colors in the brighter parts. This is one of the top showpieces in the sky. Technical. Canon 7D Mark II 20-megapixel digital camera and 300 mm f/2.8 L IS II at f/2.8. 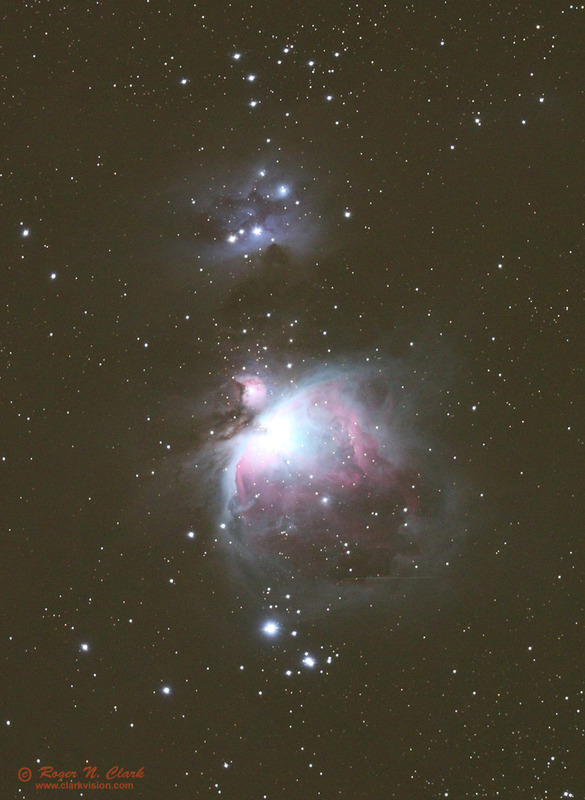 A single 60-second exposure at ISO 1600 exposure plus a 10 second exposure for the Trapezium region. The 1-minute raw file was converted to a 16-bit tif and the images was stretched in photoshop to show the range in intensities. The image shown is at 1/2 full resolution. No dark frame subtraction, no flat fields no bias. Tracking with an astrotrac. CEFA = 706 minutes-cm2-arc-seconds2 (2.8 arc-seconds / pixel).